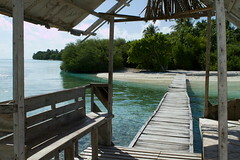 No more than 200 islands are inhabited, the rest includes the 92 tourist resorts and uninhabited islands, some of which are used for drying fish or other agricultural activities. Not only does it consist of the most beautiful tropical islands, but 99% of its 90.000 km² is covered by the sea. Yet even in paradise trouble can bubble beneath the surface. 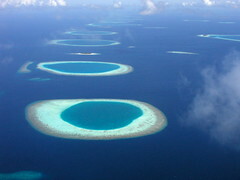 It is precisely because the Maldives is so low-lying (80% of the territory is less than 1m/3.3ft above sea level), so transparent and perfect for snorkelling, that their very existence is threatened by global warming. 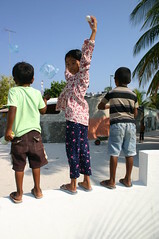 They are also particularly vulnerable to natural catastrophes, as shown in the devastating tsunami on 26 December 2004: of the Maldives' 199 inhabited islands, 20 were completely destroyed. Line Up Surf has developed a reputation in The Maldives as being one of the most unique Surf Travel companies in the region. With a number of different options to choose from icluding Surf Resorts, Surf Charters and just recently Budget Surf Camps. 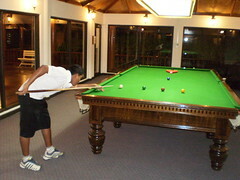 This gives us the opportunity to offer many options to our clients to suit families, couples and Singles! 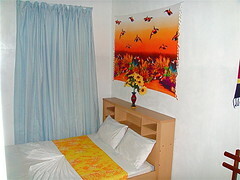 It also gives us the opportunity to offer all levels of accommodation cheap - expensive! Are always a popular option for travelling surfers, divers and fisherman out there! Line Up Surf offers all levels of surf charter accommodation with boats such as the Cosy for budget travellers, The Hariyana 1 for travellers looking to treat themselves as well as score perfect waves and the Dreamcatcher II for travellers who want to indulge in complete luxury also whilst experiencing amazing Maldivian Waves! 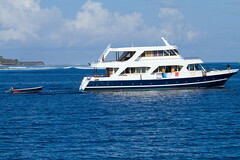 Line Up Surf offer the following vessels all year in The Maldives and they are available to large groups, singles or couples. Most trips to the Maldives are accompanied by an experienced guide who will take you to all the best locations and make sure you are well looked after by the crew. Surf Charters are an amazing experience and the feeling of living on board a boat for a week or more is something you dont want to look back on and wish you did! Do it now and ask about our surf charters! 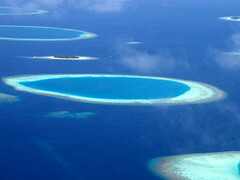 in the North and South Male regions as well as charters further South such as Meemu and Laamu Atoll. 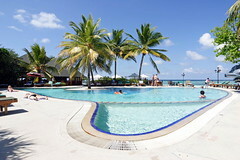 Paradise Island Resort is a 5 star luxury island nestled amongst tall palm trees and surrounded by white sandy beaches! It is the 2nd largest resort island in The Maldives and has more facilities/activities than any other resort island, with tennis, badminton, volleyball, basketball, jet skiing, waterskiing, wakeboarding, kite surfing, banana boating, parasailing, windsurfing and much much more on offer! 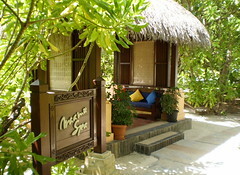 It also features one of the best day spa's in the world receiving awards for staff presentation and spa management. Amongst these amazing traits, Paradise Island also includes 4 restaurants (Japanese Tepinyaki, Italian pizza and pasta, Seafood and Buffet dinning) 4 Bars including a beach bar serving cheap cocktails all day long! The rooms range in quality from Garden Villas, Beach Villas, Water Bungalows, Water Havens and the ultimate Maldives luxury room the Presidential Ocean Suites which are nothing less than spectacular! 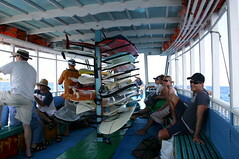 Line Up Surf operates surfing trips from Paradise Island Resort twice Daily. With 1 trip leaving at 8:30am returning at 12pm and the 2nd trip departing at 2:30pm returning at 5pm. This gives surfers the chance to mix up there days with surfing, time for the wife and kids or some watersports activities, so you can get as much done as possible and get the most out of your holiday! Surfboards are available for hire at the resort, and your surf guide will take you to the best spots in the North Male area. If you happen to damage your board we have all the necessary equipment to repare it for you. 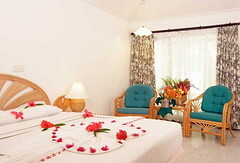 To make a booking or to check out more info on PARADISE ISLAND RESORT especially for surfers, click here! Line Up Surf's newest addittion to its line of surf resorts and camps is "Cokes Island Surf Camp" situated on Thulusdhoo Island or as it is Known the home and manufacturing island of Coca Cola for all of the Maldives and Sri Lanka. Cokes Surf Camp is a budget guesthouse accommodation complex and is one of the first budget travel destinations in The Maldives. Partnering local Maldivian people, we hope to bring clients the ultimate surfing holiday with not just the fun of the waves but the enjoyment of spending time in a different culture, making friends with other travelling surfers but also the local people! To the left of Cokes across the channel is CHICKENS! another amazing wave, however a left! A fast paced wave that can go for more than 250metres on its day and offer barrelling sections and walls you just want your fins to punish! 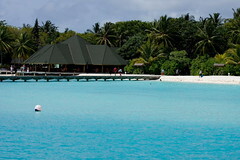 It is probably the best left in the Maldives for consistancy and quality...Probably best to hitch a boat ride there though as the paddle from Cokes to Chickens could take a loooong time! The accommodation itself is more than suitable, with each room sleeping up to 3 people, fully air conditioned, bar fridge, Theatre Room and our newly built chillout deck to watch the waves with mates while you talk about the days activites! All meals are included in your trip and local foods such as curries and noodles are a favourite on the menu! Wireless Internet is also available! To find out more info, click here!